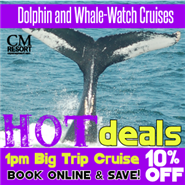 A Voyage to the Oceans Wildlife Aboard New Jersey's largest and fastest Marine Mammal Watching Boat Depart the Miss Chris Marina on a voyage into the unknown- at least for you. Captain Jeff and his seasoned crew will take you into the Delaware Bay, and the Atlantic Ocean. The Delaware Bay Estuary is a sanctuary for many species of Marine Life. The unique confluence of fresh and saltwater make for a nutrient rich area teaming with life and conducive to whale and dolphin activity. Unlike other areas, where the whales are far away, many of our sightings occur within the Delaware Bay or within ten miles of land. The excursion is fully narrated by your Captain who will point out local history along with many types of marine life. 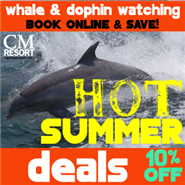 See a variety of fish and many pelagic birds such as Wilson Storm Petrels, Gannets and Sheer-waters. We go where no other marine mammal boats in Cape May can. You may thrill to the sight of a humpback whale or dozens of bottle-nose dolphins. Sight unusual sea birds or rare sea turtles. Relax on deck and enjoy the afternoon as you cruise the ocean and Delaware Bay. Every day is different and offers the possibility of the unexpected. 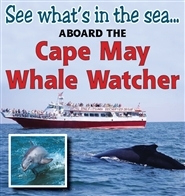 When is the best time to see whales..In Cape May we can sight whales every month of the year. There is no peak or best time. The Delaware Bay is a large fishery. It is rich in marine life. Whales come and go at will to feed. The whales we see are largely not 'migrating'. They are often immature (sub-adults) or adults not on a migratory pattern. The species sighted are primarily humpback and fin-back with the occasional minke. Enjoy a cold drink or something to eat along the way - Our on board snack bar is open during the entire trip. Enjoy a cold soda, bottled water, hot chocolate, or cold beer and wine along with hot dogs, pizza, snacks, candy, ice cream, hats, postcards, t-shirts and sweatshirts. Sightings Guaranteed - If marine mammals are not sighted on your trip your invited back free for another trip of your choice. 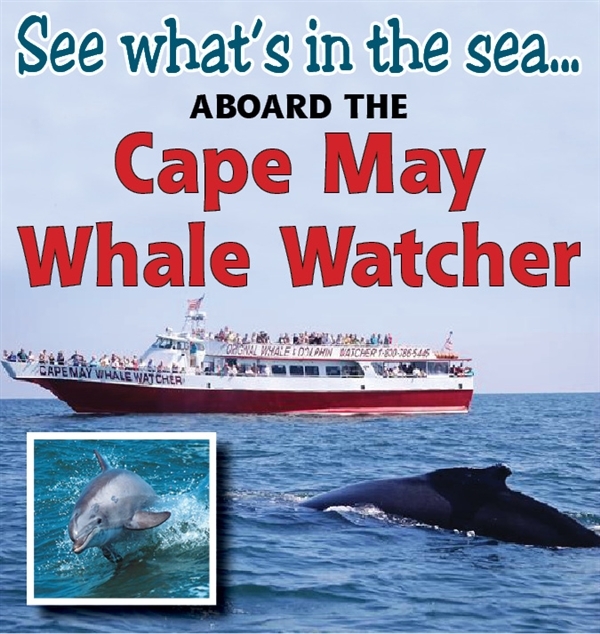 That's a Cape May Whale Watcher exclusive! Guarantee applies to paid CMWW red ticket holders. 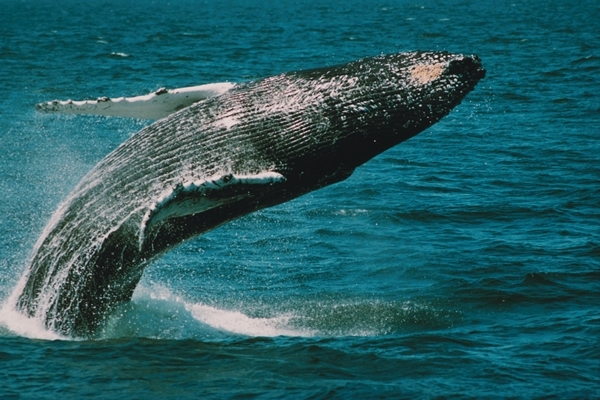 Marine mammals include dolphins OR whales OR porpoises.